Final Piece built a semi-custom WordPress website with a focus on imagery and custom graphics to fully bring out the brand and website’s potential. Final Piece then put into place a full social media strategy across multiple platforms and created and distributed content. 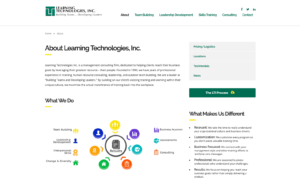 Learning Technologies, Inc is a management consulting firm, dedicated to helping clients reach their business goals by leveraging their greatest resource – their people. 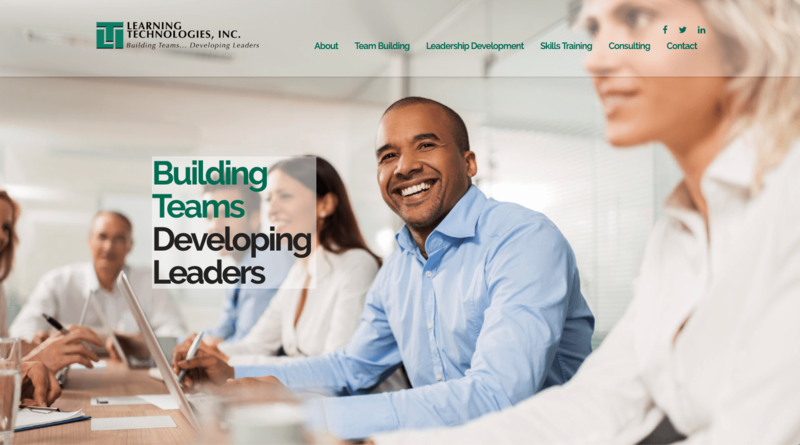 They wanted a website that reflected their expertise, industry knowledge and professionalism.